Does it Make Sense to Repair My Pool Pump Motor? The first thing to check is if it’s still under warranty. For a pump that still has the original motor, you would contact the manufacturer of the entire pump. If you have already replaced the motor before, you would contact the manufacturer of the motor. As most pump and motor warranties are only 1 year, you might be out of luck but it’s worth double checking the purchase date. Assuming you are out of warranty, you have a decision to make. A replacement motor is generally going to cost you in the neighborhood of $150 – $300 depending on the horsepower. Add another $15 – $30 for the absolutely necessary, non-negotiable new shaft seal. Can you repair it instead for less? Probably. Is it worth it? Maybe. Here’s the deal with repairing pool motors. You have to figure out the actual problem first. Is it the capacitor, the bearings, an electrical short? If you’re mechanical and handy and know your way around a pool pump, then it could be fairly easy for you to diagnose the issue and even repair it yourself. If you’re none of the above, you will need to have a tech come look at it or take it to a motor shop – and that alone could cost you before any parts are even replaced. You also need to find a repair person that you trust so you can be confident the real issue is being addressed. From what we hear from pool owners across the country, that’s a rare find. Another thing to weigh out is the age of the motor and if it’s worth investing any money into it. Age is relative to where you are located. A pump running 365 days a year in warmer climes is going to be “older” than the same pump with the same installation date in a colder region where pools are closed most of the year. So if it’s over 2 – 3 years old in the Sun Belt or 5 – 6 years old up north, most likely it will not pay to repair it. Many pool pump motors last less than 5 years; the last thing you want to do is put $100 worth of repairs into a motor that was destined to die in 6 months anyway. 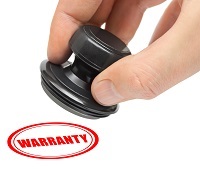 Plus none of your replacement parts will carry a warranty whereas a complete new motor will. Especially with online motor prices being more competitive these days (remember, free shipping from Inyo Pools! ), it is definitely worth a few searches and a few phone calls to compare prices for replacement vs. repair. I’ve heard of pool owners getting motor repair quotes locally that are $100 more than the cost of a new motor and seal. I’ve also heard of handy DIYers who buy a few bearings on the cheap, replace them, and get up and running again. It really is a case-by-case scenario as there are so many variables affecting each individual pump. The bottom line – I believe in general you will get more value and longevity out of replacing the complete motor. Motor replacement also presents you with the opportunity to upgrade to a more energy efficient system – perhaps a lower horsepower if your pump is over-sized as so many are, or a dual speed or variable speed. 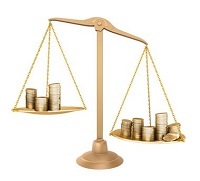 In many cases, you can easily recoup your motor expense through energy savings. To get an idea of variable speed pump savings, try Pentair’s Savings Calculator. This calculator is based on their IntelliFlo pump but will give you a general idea of energy efficiency’s impact on your wallet. If you are in the throes of the repair / replace debate and want one of our techs to chime in, please feel free to call us at 877-372-6038. My swimming pool pump has been having quite a few problems recently, so I am thinking it is probably time to get it fixed. The warranty has probably run out, so it might be better to just get a new pump. However, I will definitely look at how old it is, since I don’t want to replace it if it’s only about 3 years old. However, if it is getting closer to 5 years, then I will probably do as you suggest and get a new pump. Hello Julie, what specifically is the issue with your pump? We may be able to diagnose if it is best to change out the whole pump or just a few parts. These are some great tips, and I appreciate your advice to consider the age of your pool pump when deciding whether to replace or to repair it. Here it comes. I’ve had my pool for about two years now, and just recently, the pump has been having problems. I live in the north, so I’ll definitely look into having it repaired instead of replacing it entirely. Thanks for the great post! I had my pump motor replaced about two years ago and it just recently apparently froze up. If I power it on with the timer I hear a sound like electricity flowing to the device, no screeching, grinding, smoke or anything. It just doesn’t move. I think this is the same thing that happened when we first moved in. Pump is in S. Florida so it runs about 6-8 hours per day and is exposed to the elements. I have had my motor for 10 years.it is now still working,but I noticed the sound us much louder. What us your diagnosis on this? It could be a bad bearing, it could be just an old motor getting louder because it is 10 years old. It is hard to say without hearing it. Wish they made one with no noise. When you replace you keep the shell correct? If you are replacing the motor, yes you would keep the pump housing as is. First, I would need to know the part, model, and catalog number on your motor label to identify the correct bearing. Ok, so i figured it out, it was sum how the PDA (hand-held) got switched up to a differents system and the pump was not getting the signal to turn on, so we reset the pool panel and our PDA and it worked. It erased all of our time setting but atleast the pump wasn’t broke. Can you explain the issue in a little more detail? Do you mean the multiport valve on your filter or valve actuators? Do you believe the issue is with the controller or with the pump itself? Help! The pool pump capacitor went out so my husband has been starting it with a screwdriver till the capacitor comes in to replace it. But, last night when he ordered it he took the capacitor out, started it (with a screwdriver) without the capacitor in (the connectors weren’t touching each other) then let it run. About an hour later the pump stopped again and the off switch on the wall won’t move, like it’s locked up. He took the cover to the pump back off but it was too late to mess with it last night so he left it. This morning we went to see what’s up and he forgot to put the cover back on the pump that protects the disconnected wires to the capacitor and it rained last night on it! Not sure what to do now…did that just ruin any attempt of a simple capacitor replacement? Any advice is appreciated. That is a lot going on there, but my advice is to give the motor some time to dry out, about a day or so before you try anything further. Once you have the capacitor in hand, install it and hopefully the motor does not have any lasting affects from singing in the rain. Hi, turned motor off to swap out filter and now doesn’t come back on. Did not trip breaker though. It’s 95 degrees here lately but pump is shade protected. . So just let it sit a bit? If it doesn’t switch on later, then what is needing replaced? I would let it sit for a bit to cool down and then try to fire it up again. If the motor still does not work, you will have to go into troubleshooting mode, try spinning the motor shaft with your hand to determine if the motor is frozen, and general electrical testing: Using the Proper Test Equipment to Troubleshoot Pool Motors. Was informed by a pool tech that “motor does not coordinate with the pump and was overworking the motor which has a built in safety that would make the motor stop before burning it up, several seals blown out which need replacing along with a new motor, stating he can rebuild it for around 560 dollars? Any advice is greatly appreciated. Thank you. The first part might be right, but the price is all wrong. For example, if a 3/4 HP Uprated motor is attached to a pump/impeller rated for 1 HP Uprated, the smaller motor is going to try its darndest to spin the larger impeller but eventually, it will overwork, overheat and go kerplunk. Now the part I disagree on is the price, $560….. whaaaat? That is a price gouge, no doubt. If you replace the whole motor and gasket kit, the cost could be a quarter of that. Unless he is replacing it with a Variable speed and gold plated gaskets (these don’t exist), the price should not be that high. So we can figure out what you need, what is the model number on the pump’s housing? I can figure out the necessary HP and gaskets with this info. Hi, my pool pump motor starting tripping the breaker over the weekend. The other controls run fine, its just when I turn on the motor. over the weekend, we had quite a heavy storm, so I did wonder if the problem could be electrical due to it getting some moisture inside? Had a pool guy come out today and he told me the motor is toast. needs to be replaced. Its only 2 years old!! I had it replaced a couple of years ago by that pool company! Is there a possibility it could be something electrical? is there anything I should/can test? I already opened up the back of the motor to look for wetness and/or scorched wires. it was all dry. If the motor is actually toast, what exactly inside has failed? Shouldn’t these motors be water/weather proof? I’m in Florida. It rains. A lot. Am i going to have to spend another $500 to replace the motor every time we have a storm?? The issue may be as simple as a bad breaker. Switch the motor to a different breaker to see if it trips that one too. If it doesn’t trip, then your motor is fine, and you just have to replace the breaker. Another possibility is the wires from the box to the motor are shorted causing the problem. Standard induction motors are rated as drip proof because their vents are facing towards the ground. This is great for pump dealing with simple rain; it will run off the motor and not seep up through the vents. But if you experience flooding, or the motor is getting splashed by rain runoff or sprinklers your motor is vulnerable. We are in Florida as well, so we know the type weather you are dealing with. The motor should last longer than two years even down here. I would check your circuit as I mentioned before because there is a chance the tech didn’t even look at that, preferring to get the sale of a replacement motor. I have a duel speed motor and I get #7 diafult and its says to wait an hour and turn the saft wich I did and the saft turn fine. Morot still not running and gos back to difault? It is 2GREEN with a ac smit motor. Can you please clarify your original post. I am not completely sure what is happening with your system. Pool pump was flooded/submerged in water after heavy rain due to Hurricane Matthew. We have tried to clean it and dry it. However, it is still not working/making no sound/doing nothing. Repair or replace? You can troubleshoot the motor, to figure out what is the matter with it first. But to be honest, if the motor was fully submerged, even if the capacitor is the only thing wrong, your bearing will need replacing soon too. I would save some time and replace the motor. Live in SoCal and have 2HP Pentair pool motor (Whisper-Flo setup). Hooked up to Jandy Aqualinks system that can be run from inside the home. A couple days ago it started to sound like bearings are going bad. Estimate it being original motor about 10 years old or so. All else seems good with pump housing and system in general. IS it a better option to get bearings replaced or look into replacing the motor given the age? If replace motor, considering the Jandy setup, stick with single speed or go with variable speed? Thanks. The single will be simpler, will drop right in, and you won’t have to figure out any new wiring. While the variable speed will be more efficient (while being used at lower speeds), your Jandy controller will likely not communicate with it. The variable speed motor’s run times and speed will be set during installation and then left as is. For the most part, you shouldn’t have to fiddle with a variable speed motor after initial installation. Also keep in mind single speed motors do not last as long as they used to. The motor that used to last ten years, may only see two to four seasons. The variable speeds, on the other hand, should see a similar lifespan as your original motor. Then could mean you replace a single speed motor three times in the span of a lifetime of one variable speed. To cut it short, whether or not you want the single or variable speed will be dependent on how much you cherish using your Jandy controller to control the pump versus how often you want to change a motor. My pool pump is no longer working. My regular tech came out and told me it needs replaced. It’s the original pump installed with my pool 6 years ago. I live in the South and we run it year round so I’m pretty sure it does need replaced. My issue is he’s quoting $1,200 to replace it with a 2hp “energy efficient” pump. That seems high to me, but I don’t know if I’m being unrealistic. I live in an Atlanta suburb and I can go to someone else, but don’t want to waste time if this a realistic cost. Thoughts? It depends on two things; first, is it just the motor or the whole pump; and secondly, does his use of “energy efficient” mean it is a variable speed or just a more efficient single or dual speed. If they are going to charge you $1200 for an Energy Efficient single speed motor, you need to lose that company’s number. They are ripping you off to no end. A single speed motor shouldn’t be over $300. That price only makes sense if they are quoting a complete variable speed pump, including the housing and motor. 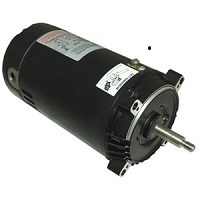 A variable speed motor can cost anywhere from $600 bucks to $1400. Give the model number of your current pump, and I can try to suggest a suitable replacement. Thanks for the quick reply. I’ll look to get the model number but in the meantime the bid says “Remove cracked filter pump assembly from the property and install a new Jandy 2HP energy efficient pump assembly”. I don’t know if that gives you any more insight. We had a freeze thus past weekend which I believe caused the failure. Jandy has a few models but the most common is the Jandy Stealth; which has two versions of 2 HP. The links for the pumps show their pricing Jandy SHPM20 and the Jandy SHPF20. With labor including the pump, the $1,200 price tag looks to be too high. Thanks for your help. I negotiated him down to $950 for the Jandy PHPF20 with a 3 year warranty on parts and labor. My pool pump is a whisperflo dual speed. It works fine on low but when I switch it to high, it makes a louder than usual humming sound like when a motor is frozen. It works for 3 seconds and shuts off. I could turn the impeller by hand and checked for twigs and such and it’s clear. Like I said, it works on low no problem. Do I need to replace the whole thing? It could be a capacitor issue. When the motor is making a loud hum, the capacitor is one of the first places to check. You can either test the Capacitor or just replace it. Also, have you tested the voltage to the pump? My Motor turns on but it’s not spinning, just making a humming sound. I can spin it by hand but when I turn the power on it doesn’t move. Is this bad bearings? It sounds like a bad capacitor. Replacing a bad cap is easy and relatively cheap. Look on the capacitor for the MFD and voltage ratings. If you think you can handle the job, try opening the pump yourself. You should be able to pick out if the pump’s internal parts are melted/ruined due to overheating. If the pump’s housing and parts aren’t fried like your filter, the motor with a new shaft seal are the only repairs, you should be ok with just a motor replacement. I just opened my pool and ran my pump all day and noticed the Hayward Super Pump for my inground pool is leaking water. My regular pool guy says it just needs a seal, but when he came to put the seal on he was unable to remove the pump. He claimed it was stuck. 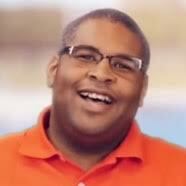 So I had another pool tech come out. This second guy within 3 seconds of arriving and switching the pump on says the pump is going and will need to be replaced. These are 2 conflicting diagnoses. Please can you help. I need to get my pool running before the water turns green with algae. I’m in the North East by the way. When you say “remove the pump” do you mean they were trying to remove the motor? To help you out, here is an article: Pool Parts 101: The Difference between a Pump and a Motor. Did they say what was stuck? Was it an impeller, seal plate, or bolts? 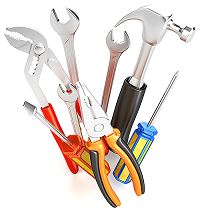 Do you, or have someone in your home that can handle a wrench to remove the motor without needing a tech to come out? Thanks for responding. Yes the tech guy was trying to remove the motor to put on a seal. He said the impeller seems to have melted on the pump. Yesterday we switched the pool on and there is no water being sucked/pulled from the pool into the pump. I think the pump is gone after all. Your thoughts? I am going to order a new pump. The specs for the pump I have now is: 2610×15 Super Pump 1.5-HP. Which is best a single speed or 2 speed? When parts start melting, it is probably best to replace the whole pump. If the pump you had was running your pool fine, then my first thought is not to try to switch HP or pump models. When you start switching pumps, then you have to worry about different flow rates and all that other stuff. Dual speeds are great if you want to save money in the long run. But you will need to make sure you have control or timer than can operate a dual speed motor. Also if you have a 30K gallon pool, a dual speed motor on low if going to take forever to churn through that pool. In addition to my question above, which horsepower is best for 30,000 gallons of water. Hi, can you offer any insight? I was opening my pool for the summer the other day and turned on the pump so that I could drain some of the water out. The pump started up just fine after being off for most of the winter however, it shut off after about 5 mins and will not turn back on. A couple of things, did it flip the breaker? Did you hear any pop, hums or other odd noises? Try to switch the pump to a different breaker; this will determine if the original break was bad or if the motor is the issue. If the motor is still non-operational, remove the motor from the pump and try spinning the motor shaft with your hand. If the shaft is frozen, then it is completely locked up needs replacing. If the If the shaft is free then we can go further. My Pump is leaking water and stopped pulling water from the pull. A loud humming sound is coming out of the pump. I live in the northeast and the pump is 8 years old. Is it time for a new pump? That is a lot going on for one pool pump. Your problems could be solved with a gasket kit and a new motor, or you may have to replace the whole pump. My barometer on which to do is based on the health of your pump’s housing. The pump housing is the main plastic body of your pump, the motor bolts to it, and it holds the guts of the pump. If the housing is cracked, looks dried out, or is older than 15 years old I would change the whole pump. If the housing is in good shape, replace the motor with new gaskets and a shaft seal. Looking to upgrade to a variable speed option from our current Hayward. We received two quotes – $1290 Hayward and $1299 Pentair. Quotes include parts and installation. My question is, should we just be looking to replace the motor or replace the whole pump? (My dad suggested asking about the motor.). Whether you can use a replacement motor or just replace the whole pump is dependent on the health of pump housing. If the pump housing is showing signs of wear and tear, like cracks and leaks, it would be best to replace the whole pump. If the housing is in good shape, then a replacement motor is likely the easiest and less expensive route. What is the model number of your pump housing? I think this is it. The replacement variable speed motor would be the ECM27SQU, it is a 2.7 HP square flange motor. If you want to do a whole pump replacement I suggest using the Pentair Intelliflo, 011018. I need the little screw cover piece for the capacitor that keeps water from getting in where can I find the piece at? Are you talking about this endcap? We just opened our pool and we went to turn on the pump and all you hear is a quiet humming and nothing works! I would assume its the motor? The whole pump is about 500-600 and a replacement motor is 130 but we think it might be bearings and the pump froze up? my husband said he might try and replace those? im not sure if its worth it? I usually suggest replacing the motor, because I know, you should get a few more seasons out of it. Whereas with a rebuilt motor, you are putting money into an already aged, and worn motor. Hello, my F1500C Pump is not working nor making any sound at all. I have checked the plug. The GFCI reset nor the test will make it work and it makes no sound at all when plugged into a good outlet. Can you help me determine what I need to do, buy a new one, take it apart…? Motor gets hot and shuts down – Generally due to low voltage or being overloaded. Check that the motor is wired correctly. If the motor is configured for 230V and has 115V coming in, it will shut down after running 3-5 minutes. Check for loose connections. Check for undersized wiring. For a hook-up to the circuit box of under 50′, pumps of up to 2HP wired for 230V need No. 14 size wire, For pumps wired for 115V, the wire size must be No. 14 for 1/2 and 3/4 HP; No 12 for 1 HP; and No. 10 for 1 1/2 and 2 HP. Check that the motor is not overloaded. Does the pump have the correct impeller and diffuser for this motor? Is the impeller worn and rubbing on the diffuser. Hi , my pool pump stops turning on , when i remove the cap on impeller shaft , its hard to turn and can only turn using a wrench couple of times and then when it feels that it turns little easy , the. It will turn on upon switching the electricity. Can you please suggest i live in tampa, fl and its been just 2 years that i replaced which costed me around 400$. Shall i keep relacing motors in fl every 2 years.? If the motor shaft is hard to turn, then it is likely the bearings. These are replaceable of course. My concern with your situation is that you keep replacing these motors every two years. This type of cycle leads me to believe there is something amiss in the pump or in the area around the pump. Most of the times I have seen bad bearings, the issue is with improper shaft seals. Either the seal was installed incorrectly, or it wasn’t replaced when the new motor was installed. Either of those will cause a leak into the motor, rusting bearings and anything else the water gets exposed to. If the shaft seal isn’t the problem, then I would look to outside sources of water, like spray from sprinkler heads, rain runoff or splashing from the pool itself. The motor can be covered to help negate these issues in the future. Getting DE Powder in Your Pool?